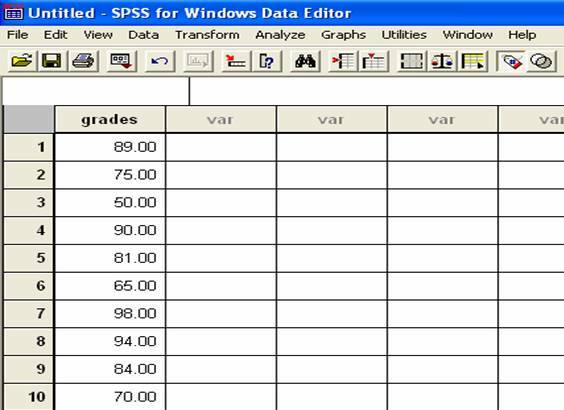 How do I enter data into SPSS for Z-scores? 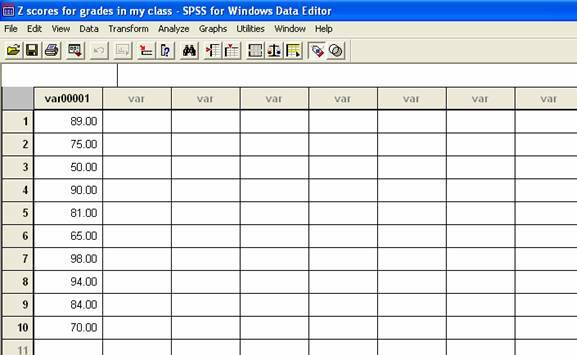 Home > How do I enter data into SPSS for Z-scores? I’m going to use this example to help you understand how to enter the data. You can follow along first and then enter your own data by using the same steps. Just change the data points of course. Suppose you want to know how well you are doing relative to everyone else in your class on your first test. Here are all the test scores for your class, including yours. Simply type in each test score and hit the enter key. Every time you hit enter, the cursor will move to the cell below the one you are currently working in. In this example, you can see all of the test scores in one column. For example, the number 89 in the top cell is the test score of Shelly. The number 70 in the bottom cell is the test score of Xiomara. To change the name, type another name into the box. Make sure the name is meaningful to you and that it describes your variable. 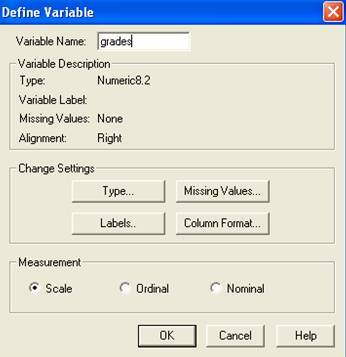 Since I am giving an example about grades data, I will name my variable Grades. When you click the OK button, your variable name will change. 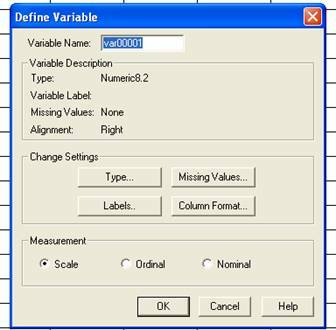 In this example, the variable name ‘grades’ now appears where ‘var00001’ used to be. Congrats! You have just entered data that can be transformed into Z-Scores. But wait. Most students think that they are finished when they name the variable. Not so. There is one last think to do and it is so important. Always remember to save your data file before doing an analysis. I am going to choose the name “Z-scores for grades in my class.sav” because it most accurately describes my data. While a bit long, this name will help me find my SPSS data file in the future. I am going to save this file to a folder named MySPSSdocuments because that will help me find the file in the future as well.